Marijuana Dabbing Use Signs and Symptoms - What Are They? Marijuana Dabbing Use Signs and Symptoms – What Are They? The simplest explanation of dabs includes various forms of quality hash, which go through a unique preparation process involving butane gas. Dabbing refers to a method of marijuana consumption where highly concentrated cannabis is heated. It leads to vaporization of oil which users then inhale to get a “high.” Dab is not a chemically modified plant; the only difference between typical marijuana and Dab is the concentration of THC. THC is a chemical which induces the majority of marijuana-related effects. While an average cannabis joint contains about 15% of THC, the THC amount during Dabbing reaches 70-95% per dab, according to marijuana statistics. Such a high amount of this hallucinogenic substance causes immediate and overwhelming effects. How Does Dabbing Affect Your Body? How to Tell That Someone is Dabbing? What are the Signs and Symptoms of Marijuana Dabbing Use? What are the Long-Term Effects of Marijuana Dabbing Use? 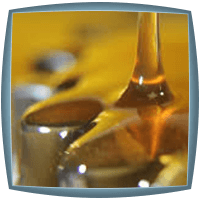 What are the Dangers Associated with Marijuana Dabbing? Marijuana dabbing has become very popular in recent years. Some of its effects are not entirely understood, and doctors have just begun to compare the effects of typical marijuana to marijuana dabbing. The only fact most experts agree on is that marijuana by definition has adverse effects on a developing brain. This data is especially alarming since marijuana is widely spread among teenagers and young adults. If you find unfamiliar e-cigarettes among your beloved one’s stuff, be aware of the possibility they are using it for vaporizing marijuana. These e-cigarettes may be altered vape pens primarily meant for tobacco, so it is hard to detect marijuana use. Glass water pipe or marijuana blunt. Changes in behavior consistent with typical marijuana users, but intensified throughout the whole day (disorientation, sleepiness, unusual talkativeness, bloodshot eyes). Increased use of perfumes or cologne to hide the marijuana smell. Increased use of chewing gums, breath mints, and eye drops. Increased interest in cannabis and different names for marijuana, talking about it and collecting stoner movies (with marijuana smoking characters). Long-Term Effects of Marijuana Dabbing Use? Although the connection between marijuana and cancer is still to be researched, it is clear that dabs contain larger amount of carcinogens and toxins than the regular joint. Marijuana extracts may be precarious to make since highly flammable butane gas is used during the preparation process. (Home chemistry is dangerous!) Numerous cases reported that entire houses have blown up, or someone got hurt. Marijuana dabbing may lead to cases of overdose which include nausea, vomiting, and blackouts. Marijuana dabbing can cause tolerance and develop an addiction. Marijuana dabbing withdrawal symptoms are very severe. Emergency rooms have seen a great increase in marijuana dabbing related problems. This type of marijuana use has become a dire predicament. If you know or suspect someone you know is using marijuana, be sure to stage an intervention for drug addiction treatment and help him/her face the problem and the possible adverse outcomes. Choose the rehab for substance abuse to prevent the dire consequences of dabbing. Since marijuana dabbing may cause addiction, medical treatment is advised. After detox, group therapies and support groups can help a former addict lead a healthy, drug-free life. Addiction Resource » Addictive Substances: The Anatomy of Drug Addiction » Is Weed Addictive? Marijuana Use, Abuse, and Addiction » Marijuana Dabbing Use Signs and Symptoms – What Are They? I have discovered that my son is dabbing. I believe intervention is necessary. I have no idea where to begin. Please help me with the next step. He has been using marijuana since he was 12 I believe from what he has told us, we have been trying to manage through punishment and restrictions of freedom, in addition to constant contact with other parents of his friends. His behavior has become withdrawn, moody, no emotion, does not care to have a relationship with his family, sleeps a lot etc. Have you found any help? I suspect my son, who is now 24, has been doing it for several years. I want to help him, but I don’t know how. He becomes angry when I try to talk about getting help. Vitamin C and potassium. Basically, eating a banana and an orange or apple every day for a week and you’ll be back to normal. Alright, I’m 16 and my friends have dab pens. I don’t care to buy a pen because knowing myself I would develop an addiction. I don’t get high with them if we’re just hanging out for a typical afternoon. However, I do get high with them for when we have sleepovers (hahahahaha! We still have sleep overs at 16 what a bunch of losers) which typically occur every 1 month. So if I get high only 12 times a year or so will that affect my brain and health in the future? If so I’m definitely stopping I’m very health conscious. This is complete horse**it. It’s a plant that grows out the ground. Sounds like you are getting this mixed up with the ‘legal’ and ‘accepted’ drugs that society and pharmaceutical companies have led you believe are ok. In conclusion, marijuana, even the dreaded dabbing, are not going to kill you with use, ever. The same can’t be said from OxyContin, percect, adderal, suboxen, Xanax etc. Please stop spreading fear. Dabbing can be habit forming, but so can brushing your teeth for f**k’s sake. If you don’t have enough willpower to come back from weed “addiction” then you were already braindead to begin with. I have been smoking weed for 6 years and dabbing for 3 years and I am 21, I’ve quit and restarted a few different times for varying lengths of time, and I have had almost no adverse effects from it whatsoever (the occasional bout of anxiety can come up from doing way too much all at once or mixing the wrong kind of strains, but just like with anything else time heals all wounds). Saying that “dabbing is to marijuana, as crack is to cocaine” is a terrible comparison (plus they’re not just inherently called “dabs”, they’re concentrates, dabbing is the form in which you use them, you don’t call marijuana “smokes”), and this post is terribly inaccurate in its descriptions… concentrates that you dab are just that, concentrates. Would you say that a shot of vodka is way worse for you then a glass of beer? No, because there is the same amount of alcohol, it’s just that you take the more concentrated one in faster so you feel the more potent effects more quickly. Also, there have been plenty of studies of the relation of marijuana to cancer, most if not all of which point in the direction of it slowing the growth of cancer cells, which is exactly why it has been used medicinally to treat cancer since the ’90s. Adversely, there have been some studies that show that some forms of concentrates (such as butane hash oil, or BHO) can actually produce some harmful carcinogens that may be linked to cancer, so if you’re a nervous Nelly like me avoiding those varieties isn’t a bad idea. As with any form of medication marijuana has its ups and downs, but unlike most medications that are pushed upon us today (for massive amounts of money), marijuana is completely natural (if you don’t count the fact that people have been breeding and interbreeding different varieties for hundreds of years, but if you were really worried about that then don’t eat produce). There’s also the issue of smoking marijuana, because burning anything produces lots of different compounds that could be harmful in the long run, so to be even better on that front you should vaporize (using either the dry leaf without burning it or using concentrates and doing “low-tempt dabs”) or use edibles instead. All in all what I’m trying to say is to research your stuff a little bit better before you make a post trying to describe to people who don’t know anything about it, otherwise you both are worse off for the wear.